Up to the present day the publication from B.Hlinka and L.Mucha with name The Philatelic Atlas continue as basic handbook for czech stamp territories collectors. This publication was issued in three Czech editions with total 80 000 copies and in two English editions (The Orbis Philatelic Atlas by Orbis Publishing House, U.K. and The Stamp Atlas by Scott Publishing House, U.S.A.). However, since last Czech edition in 1986 year with 780 stamp territories were many changes on the geographilately world map. That's why after precisely of the stamp territory criterias GEOPHILA Association publish continent by continent new Stamp Atlas. This new Atlas contain currently stamp territories list with its development periods, local issues etc. 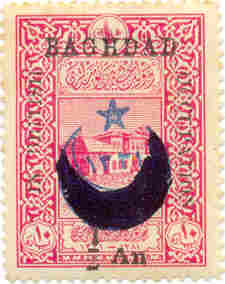 articles looking like stamps with could not be used for paying postage for mail carriage (transport) however.